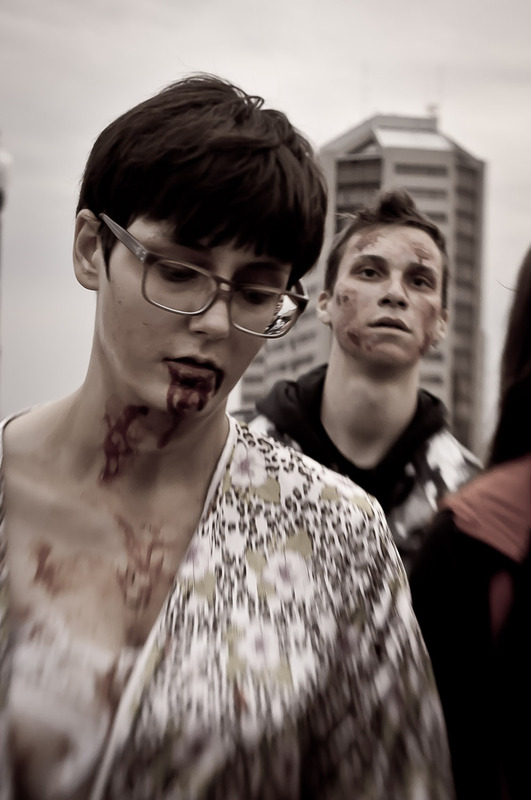 I caught the action as the "Bridge City" was flooded with hundreds of would-be zombies on October 1st, 2011. The Zombie Walk coincided with the 2nd annual Dark Bridges Film Festival in Saskatoon on a cool autumn Saturday afternoon. Shot with a D90 & D70s with a Lensbaby 2.0, I wanted a surreal, post-apocalyptic look. Check out below for a gallery of my images from the event.